They may never be able to fill a stadium for a rock concert, but computers are making inroads in the music industry, capable of producing songs -- and convincingly so -- as illustrated at the South by Southwest festival in Texas. "I Am AI" was released last fall by YouTube star Taryn Southern, who doesn't know how to play any instruments. "For my first music video in 2017, I had a lot of friction as a non-musician," the young artist told a panel discussion on Sunday at the festival running from March 8-17. "I wrote lyrics, I had a melodic line but it was difficult to compose and record the actual music." "In two days, I had composed a song that I could actually feel was mine," Southern said. "It means that I don't necessarily have to rely on other people." 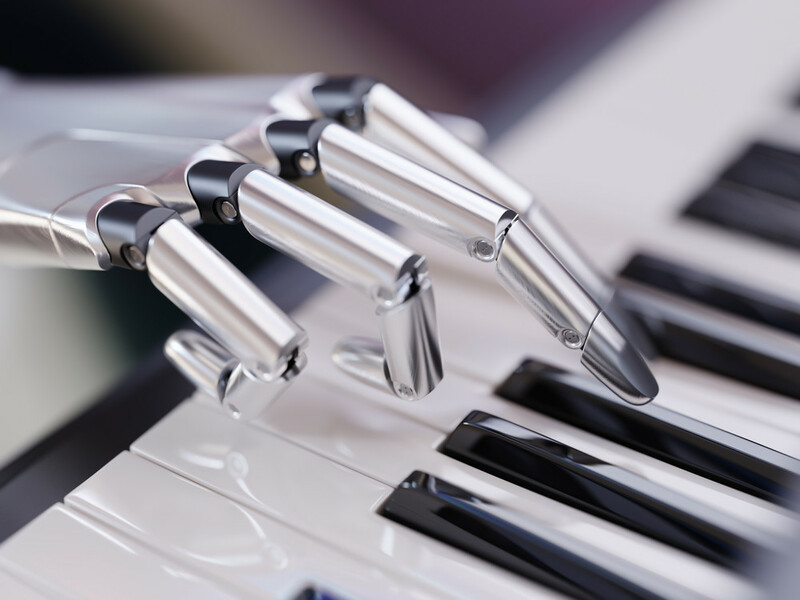 The company's co-founder and CEO, Drew Silverstein, said the aim is not to replace human composers but rather to work with them to reach their goal. He said the company relies on tons of source material -- from dance hits to classical music -- to produce custom songs. "The idea of Amper is to enable everyone to express themselves (through) music regardless of their background and skills," Silverstein said. Two songs created by Amper at SXSW -- using the public's choice of pop and hip hop as the genres and tender or sad for the mood -- clearly aren't likely to top the charts. But the pieces were pleasant enough to the ear and perfectly usable as background music to illustrate a video or a computer game. Such songs are described by Amper as "functional music" as opposed to "artistic music." "For me, it's just a tool I can use in my creative process: I'm still the editor, I'm still in the driver's seat," she said. "We're going to hear a lot of music composed by computers and there's nothing wrong with that," he said. "But computers are not very good at creativity ... they are 0 and 1. "They can find patterns, but they're not, like humans, particularly good to go beyond what they've been trained for. They are tools." For Lance Weiler, an American filmmaker and writer who uses AI in his work, the collaboration between machine and artist should not be sneered at. "It mainly enables you to improve the way you work, to augment your skills in expressing creative thoughts," he told the panel discussion. He added there was no question that AI had its limits and inevitably fails somewhere. "It's like interacting with a toddler," he joked. "It can be very temperamental. You need to put patterns so it doesn't hurt itself." Silverstein underlined that while AI was useful to experiment with an objective goal, "a yes or no answer," when it came to artistic experimentation, it was far from perfect. For some, such arguments are not convincing, as attested by a British musician at SXSW who didn't appear happy with the competition and questioned whether the word creativity even applied when speaking about music generated by a computer. "It's still an algorithm," Boisseau conceded. "It's doesn't mean people won't enjoy it, but it's not completely new. "With the current state of the art, it cannot be 'creative,'" he added. To which Silverstein quickly replied: "Not yet."